Hey little fellas! 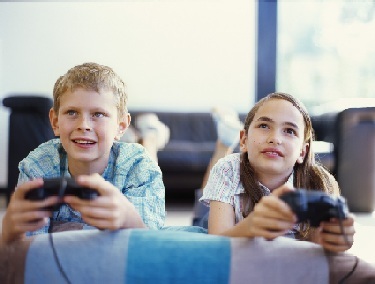 Kids video games are here, so fasten your seat belts and grab the remotes b’coz we are all set for a joy ride! Allow me to ask you a simple question. Do you own a Nintendo Wii, a Sony PlayStation or a Microsoft Xbox 360 video games console at your home? If the answer is “Yes” then I am sure you also face the same dilemma as me. Did you say which dilemma? Well, the dilemma of determining which kid’s video game is suitable for my kids and which ones aren’t, out of this overwhelming pool of choices. Here is a solution to this tight spot. Let’s work together to identify best kid’s video games that can provide clean, violence free, non offensive and sporty entertainment to our kids. If those games have some educational spin blended in…what better one can ask for! To make this job easier and to ensure that the kids don’t get exposed to every second game out there, I have shortlisted some really amusing, non violent, learning and family friendly kid’s video games for caring and responsible parents like you and me. Kindly go through them and use your own discretion to choose the one’s that suits your bill. Also, make sure to go through Entertainment Software Rating Board (ESRB) ratings before making a final decision. 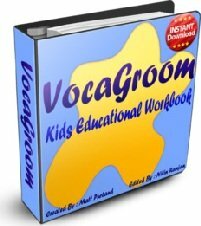 Also, check out www.download-free-computer-games.com/free-downloadable-kids-games.html, a helpful resource for free downloadable kids games. Which is Your Favourite Kids Video Game Console? If you have kids at home then you must be having a Video Game Console. It's an inevitable tool in a kid's "PlayBox" these days! Here is a platform where you can share your thoughts about your favorite video game console with other visitors. And who knows your recommendation might help someone buy a new one for his/ her kids!